Check out Phunware in action at FLL Airport. FLL is the gateway to fun in the sun for 67,000 daily passengers. 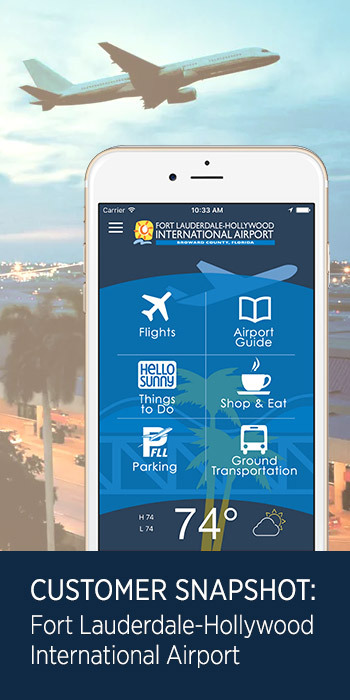 Broward County Aviation Department wanted a unique mobile app to boost revenue and streamline the passenger experience—including one-touch access to the airport’s new Park Assist® implementation.